At present, the on-site operation and maintenance of the power communication network lacks efficient real-time interaction means of operation and maintenance data, and it is impossible to realize real-time decision-making and accurate implementation, which indicates a moderate efficiency and quality of operation and maintenance. The application of WebRTC and wearable operation and maintenance technology, which establishes a multi-party video call based on P2P connection between the wearable terminal and the operation and maintenance platform, can also realize active on-site operation and maintenance of multi-party coordination and auxiliary decision-making. However, because of the complicated power communication network status of the on-site operation and maintenance, the video transmission quality fluctuates greatly, which restricts the efficient implementation of wearable operation and maintenance. 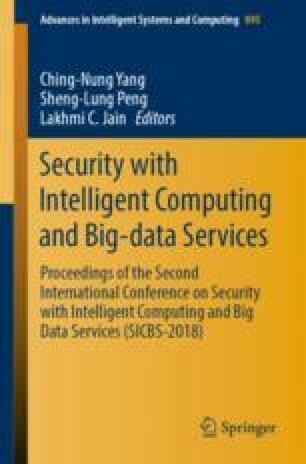 To this end, for wearable on-site operation and maintenance, this paper proposes a WebRTC-based adaptive video streaming transmission rate control strategy, which supports adaptive dynamic adjustment of video streaming data transmission rate with network link quality changing. Simulation shows that the proposed transmission rate control strategy can effectively reduce the network delay and packet loss rate, even under various network environments. Therefore, this strategy can effectively adapt to the complex and variable on-site operation and maintenance of the power communication network.